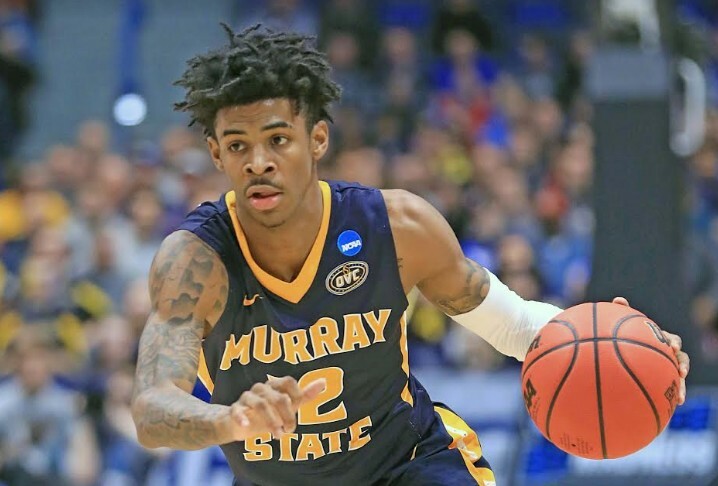 Murray State’s Ja Morant was named to the list of 25 being considered for the 2019 Lute Olson Award presented by CollegeInsider.com and goes annually to the top NCAA D-I player. Already a multiple All-America selection as a first team pick including, NABC, Bleacher Report, Sports Illustrated and the USBWA, Morant is also up for the entire national Player of the Year awards list including Wooden, Naismith, Robertson and Cousy. The Ohio Valley Conference Player of the Year, Morant finished the season with 331 assists, the sixth-most in NCAA single-season history. His 331 assists and 808 points are both Murray State single-season records and he set the MSU career assist record in only two seasons. His biggest accomplishment is becoming the first player to average 20 points and 10 assists in a season since the NCAA made the assist an official stat in the 1983-84 season. Morant scored 24.5 points per game and averaged right on the number for assists at 10.0. Coach Lute Olson won 780 games in 34 seasons, 24 of which were spent at Arizona. During that stretch he led the Wildcats to 11 Pac-10 Conference titles, 23 consecutive NCAA Tournaments, four Final Four appearances and a National Championship in 1997.